Although I don’t usually go for very heavy eye makeup, I do love some coats of black mascara. This is usually my go to look, so taking it off is not a big deal. However, as a contact lenses wearer I have very dry eyes and not every make up remover works good for me.. 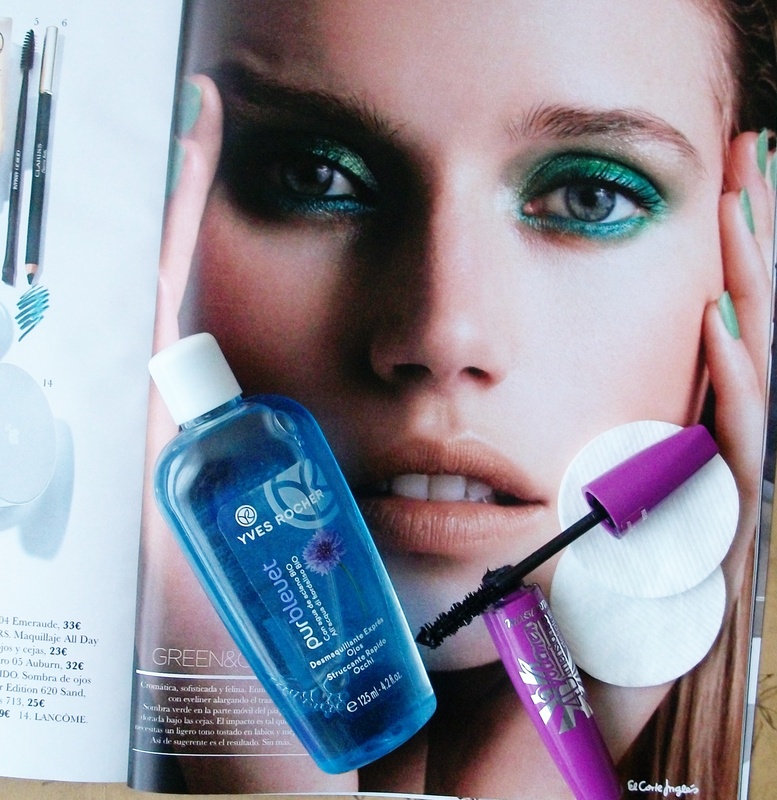 But this Soft Eye Make Up Remover from Yves Rocher seems to be the perfect one. It is specially design for sensitive eyes and wear lenses, and it removes make very gently without eyelashes falling. You just have to give it a shake to mix the formula and then apply to your eyes with a cotton pad. The formula is a bit oily, just enough to remove even waterproof makeup, and as my eyes are quite dry (not only the eyes themselves but also around them) I don’t mind it because I find it very hydrating. My sister didn’t like it though, so if you’re not very into oils, I would suggest you try the non waterproof version which works just the same but it’s less greasy. Wearing lenses can be so annoying at times. I wish there was something that could remove make up from the lenses when it accidentally ends in your eye while applying concealer. Oh the future.. I always loved Yeves Rocher cosmetics! Going to try it.